Until we admit that God is in charge of all that is happening in our lives we will not be able to properly deal with the bad things that come our way. Bad things come from satan. Sometimes they come simply because God leads us into satan’s territory to defeat him and establish God’s Kingdom on Earth as it is in Heaven. Sometimes they come because there are things in our lives that do not please God and leave us open to the enemy’s attacks. God allows these attacks so we can overcome the devil and become more like Jesus. Only by understanding that God is in charge can we properly deal with the bad things that come our way and have the victories God wants us to have. Question: Have you acknowledged that God is in charge of all that’s happening in your life? IS IT THE GOSPEL OF THE KINGDOM? In what we call The Lord’s Prayer, the first thing Jesus said we should pray for was that His Kingdom would come and His will would be done on Earth as it is in Heaven. It is clear from this that The Gospel of The Kingdom is more than getting saved from Hell and going to Heaven. It is about receiving The Eternal Life of God so we can do our part to bring God’s Kingdom on Earth as it is in Heaven. The first thing John the Baptist and Jesus preached was “repent for The Kingdom of Heaven is at hand”. In Matthew 10:7 Christ told His followers to preach the same thing. Jesus said that The Kingdom is not a place you go to, but something that lives within you when you receive His Eternal Life. The rich young ruler was a good man and a faithful church goer, but he knew from The Gospel of The Kingdom Jesus preached that something was missing. His question was, “what must I do to inherit Eternal Life?” Jesus made it clear in Luke 14:26, 27, and 33 that there are three things that must be surrendered to God in order to receive Eternal Life: relationships, goals and ambitions, and possessions. The Gospel of The Kingdom is a message that leads people to surrender these things to the Lordship of Christ. Most people want to escape Hell and go to Heaven. 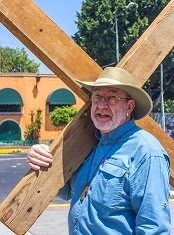 Some are even willing to say that they believe Jesus died on the cross for them and say a prayer so they can get there. Saying a prayer won’t get you to Heaven if there is no repentance or heart surrender. Only through repentance and heart surrender can you be birthed into God’s Kingdom and receive His Eternal Life. There is no record in the Bible of early preachers of The Gospel leading someone in a prayer. Instead they spoke the truth of The Kingdom in such a way that people would ask them what they needed to do to be saved. Paul said there were two things he preached everywhere he went, “repentance toward God and faith in The Lord Jesus Christ”. Many today talk about faith in Jesus but fail to mention repentance or the need for Christ’s Lordship. Paul preached these things because he understood that God’s Kingdom is coming on Earth as it is in Heaven in the hearts of people. He knew that for this to happen there needed to be deep repentance and a turning away from all that offends God and is contrary to His Kingdom. Paul understood that being birthed into The Kingdom required falling in love with Jesus Christ, and that the person being birthed must surrender their heart and will to His Lordship. There are many today inside and outside the church who have not heard The Gospel of The Kingdom. Many would receive The Kingdom if they heard the message of The Kingdom. This message is the world’s only hope. It is the only message that will bring God’s Kingdom on Earth as it is in Heaven. When God’s Kingdom fully comes, there will be peace on Earth and everyone’s needs will be met. These things will not happen any other way. UNITY IS A BY- PRODUCT!!! Unity in The Body of Christ is a by-product of making disciples who are committed to Jesus Christ and His Kingdom above all else. People who are sold out to Jesus have no problem helping others to do the same. They automatically love everyone who loves The Lord, even those who are still growing to know Him. People who are building their own kingdom find it very difficult to lead people to that deep commitment they need to have in order to live in unity with the rest of The Body of Christ as part of God’s Kingdom. This is because it may take people away from their kingdom. and His Kingdom above all else? 2. Are you helping make disciples who are committed to Jesus Christ and His Kingdom above all else? Walking and praying for the city of Ft. Worth where we live. 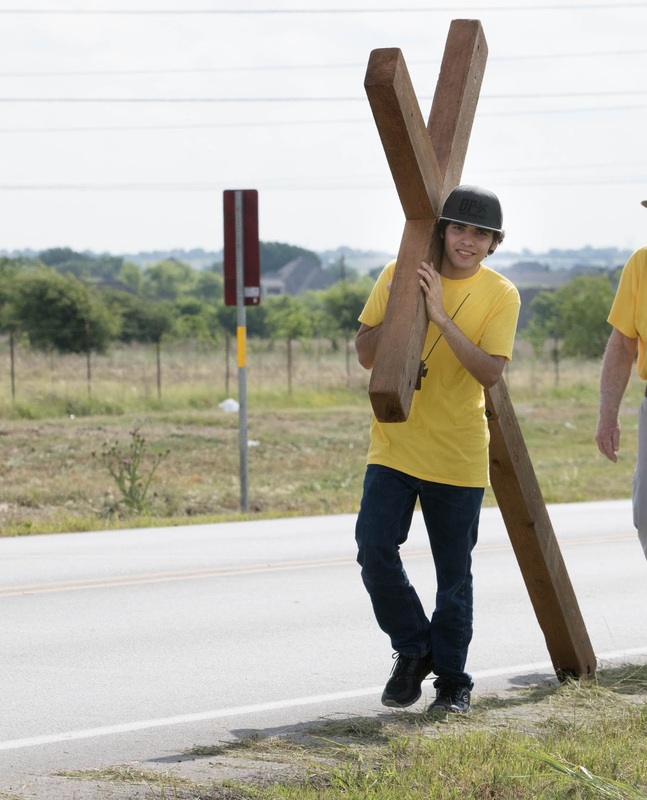 Hearts were touched and saints strengthened in their walk with The Lord!! 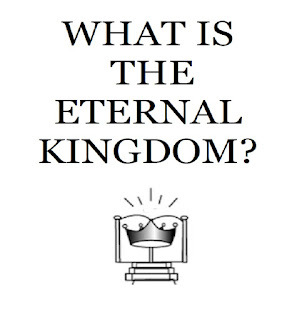 What Is The Eternal Kingdom? 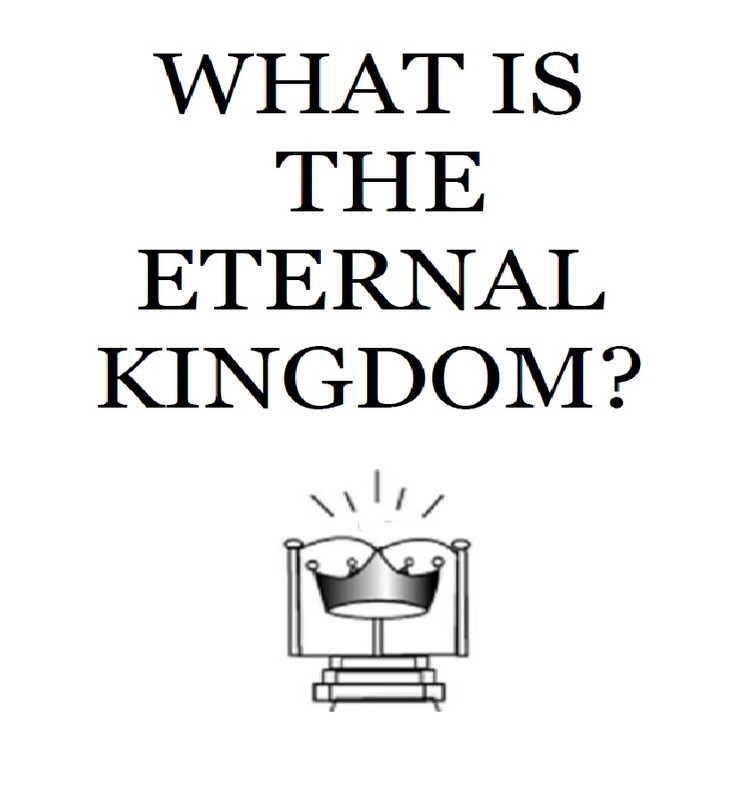 My new book, What Is The Eternal Kingdom?, is available for free download at WhatIsTheEternalKingdom.com. Please read the book and share a copy with your friends and family. The Eternal Kingdom will last forever. Everything else of this world is temporary. The question we need to ask ourselves is, are we part of The Eternal Kingdom? 2018 A YEAR FOR THE ETERNAL KINGDOM!! As 2018 began we were in an area of The World closed to the open proclamation of the good news about Jesus. We were praying for God’s Kingdom to come on Earth as it is in Heaven. God spoke to my heart that 2018 was a year that people needed to focus on The Eternal Kingdom. They needed to make the establishing of God’s Kingdom in the hearts of all mankind their number one priority. It is easy to get caught up in the busyness of life. Things like finances, health issues, retirement, and personal needs can keep us from focusing on The Kingdom. God’s promise to us is that if we make His Kingdom our number one priority He will take care of all these other things. We know a couple who are retirement age. 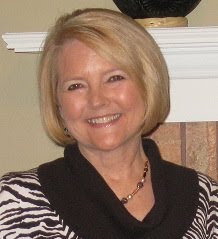 They have made God’s Kingdom their number one priority most of their adult life. They lived for years with no regular income trusting God to meet each need as they sought to fulfill His purpose for their lives. Now that they are in their retirement years they have more than they need even though they never worried about retirement. God is faithful. He is calling every follower of Jesus to make living for The Kingdom their number one priority. This means more than just going to church meetings or serving in some church organization. It means living each day seeking to hear God’s voice and doing what He wants us to do so people will become part of The Eternal Kingdom through a commitment to follow Jesus with all their heart. 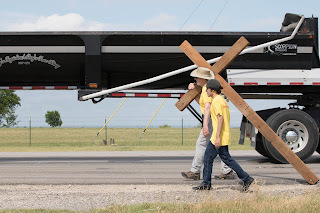 If we will do this He will meet all the other needs which distract from living for The Kingdom. Question: Is living for The Eternal Kingdom your number one priority in 2018? THE GOSPEL OF THE KINGDOM!! The Gospel of The Kingdom is not that Jesus died to save people from Hell and take them to Heaven. It is that Jesus died to set people free from the power of sin to serve The Living God so they can do their part to establish The Eternal Kingdom on Earth as it is in Heaven. 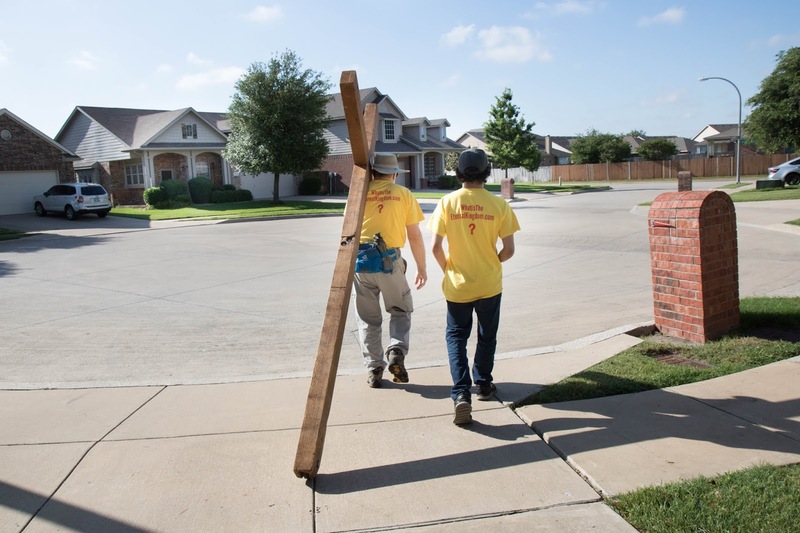 Question: Are you sharing The Gospel of The Kingdom? share The Gospel of The kingdom, please contact us. but a deception from the devil that makes us a slave to the lust of the flesh. The fruit of this type of self-determination is a wasted life and the destruction of the person’s soul in the fires of Hell forever. “True Freedom” is being freed from our destructive lust so we can fulfill God’s eternal purpose for our lives. This produces an eternal reward that cannot be taken away. This can only happen when we turn from the desire to please ourselves and give God control of our lives. We must decide to love Jesus with all our heart, soul and mind because of what He did on The Cross for us. Then we need to repent of our sins and make Him Lord of our life. God then gives us the indwelling presence of His Holy Spirit. His Spirit living in us enables us to have victory over the lust of the flesh. The power of His Spirit enables us to fulfill God’s eternal purpose for us. This is “True Freedom”. This type of freedom gives our life eternal meaning and allows us to be part of God’s blessed heavenly Kingdom forever. Question: Are you living in “True Freedom”? find “True Freedom”, please contact us.